Million Dollar Outlines is a book that will help you to brainstorm the most important elements of your story before you begin the process of writing scenes or chapters. David Farland is an award-winning, New York Times bestselling author of the Runelords Series and numerous other Sci-fi and Fantasy novels too. He is a judge for Writers of the Future contests, is a creative writing instructor, an editor and has worked as a videogame designer, a screenwriter, a movie producer, as well as a green light analyst of movies. David Farland takes you deep into what a story is and how it works. He discusses the importance of understanding why people read and seek entertainment and he delves into genres and the emotions that draw readers to stories. This book is so useful because David Farland takes you through the process he uses to write his novels and discusses aspects of plotting that can be difficult to grasp in other books (in my experience). He uses his extensive industry, editing and teaching experience to help you to understand how to write fiction that could turn into a "million dollar property." He walks you through brainstorming your setting, how to build characters, finding the themes in your story and plotting tools that will help you to deepen and broaden your story. This book is about helping you to write what you love, but it challenges you to write a story that will appeal to a wide audience. This is fascinating book and one that I think every writer should be reading due to the real-life experience that David Farland brings to his audience. I have read this book twice in the last two months and continue to revisit it as I write my own stories. 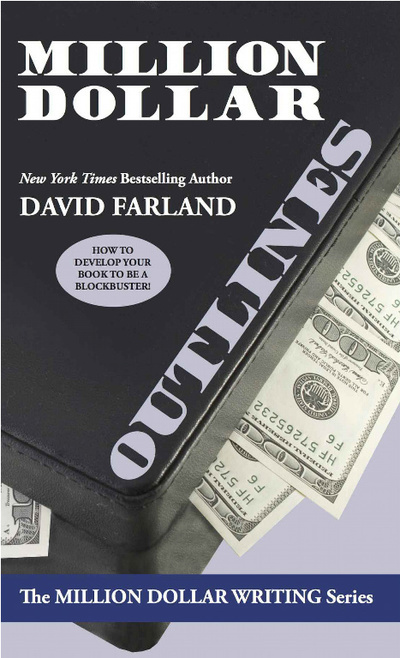 If you are interested in the craft of writing, developing plots that work and excellent world building techniques, then Million Dollar Outlines by David Farland is a must-have. To find out more about David Farland and the writing courses he offers, check out My Story Doctor. I highly recommend his course The Story Puzzle for brainstorming your story. I am completing this course now and it has continued to build on what I have learned from Million Dollar Outlines.